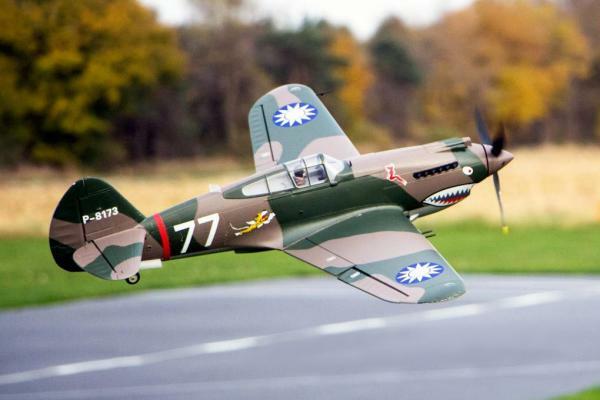 We here at Killer Planes are partial to Flying Tigers since that is our logo mascot, but even so, this warbird is so awesome, you’ll want to add her to your RC hangar. If you’re a speed demon, like Steve, you’ll love that she can achieve thrust in excess of 100MPH! Wanna go FASTER? And let’s talk VERTICAL! ROCKET MAN! But scale flyers, take heart. The P-40B is also stable and steady at half throttle. She’ll be sure to put a smile on your face and turn your buddies at the field green with envy. 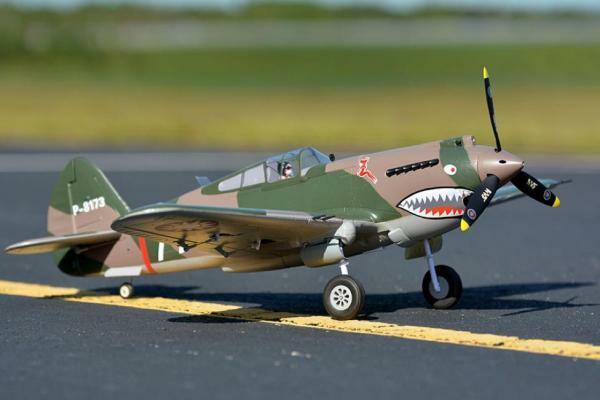 This P-40B sports a 3648 “high speed” 770Kv motor (3536 in the standard speed), 70A ESC, and a three bladed prop. 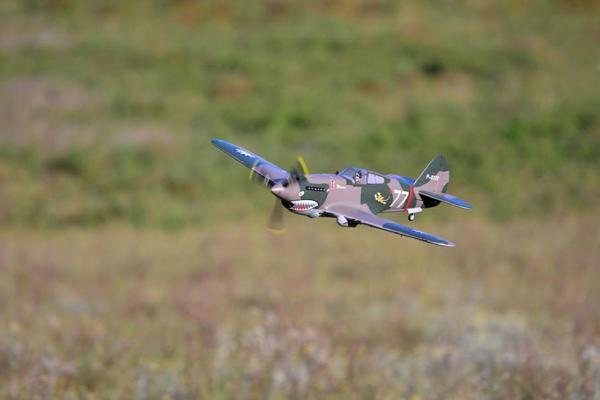 She’s got LED nav lights, 4 metal gear servos and an extra wing spar (2). 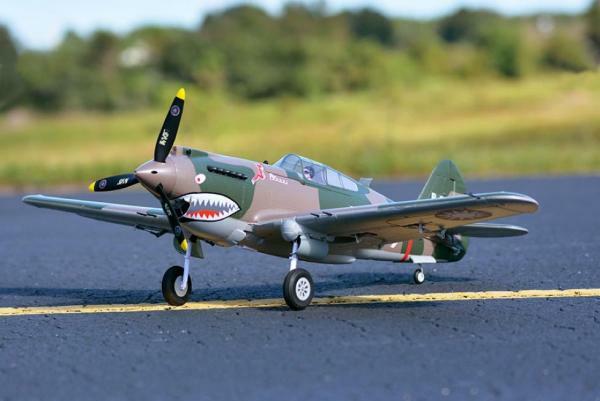 We still recommend Killer Planes reinforcement to keep her stiff and crisp in the air (and it gives her a little bounce if she accidentally hits the ground). She’s speced for a 4cell 2500MAh Lipo, or battery up to extend the fun. 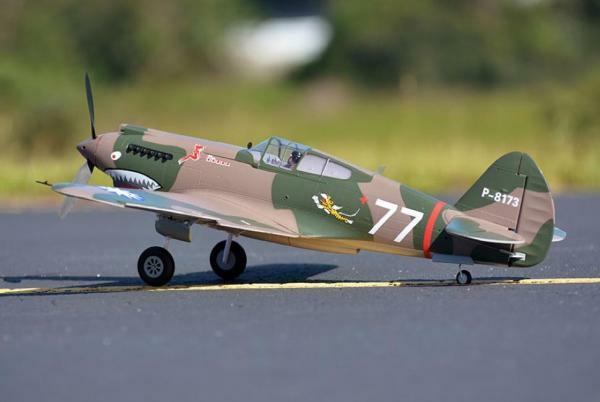 Comes with ailerons, elevators, rudder, flaps and retracts! Prop Size: 10" x 8"